On Golden Pond-Dave Grusin | Wedding Wisdom, Etc. 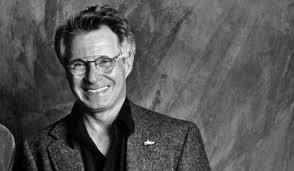 Aside from being one of my favorite jazz pianists, Dave Grusin has composed some of the most lush and evocatively romantic movie scores ever produced. This opening theme from the 1981 movie “On Golden Pond” is a perfect example of Grusin’s writing. The subtly magnificent score serves as the emotional touchstone for the movie which won Academy Awards for its stars Katherine Hepburn and Henry Fonda, and was nominated for eight more, including one for Grusin’s soundtrack. The most unique element of his scores is his trademark ability to juxtapose classically orchestrated themes with ones that exist solely on the strength of his jazz-infused piano. Listen carefully, and think about using this lyrical melody as part of the perfect soundtrack for your own cinematically beautiful wedding ceremony.